The Z1 and Z2 PowerShell with Extended Life Battery allows users to take the Z1 and Z2 Travel CPAP Machine wherever they go, ideal for camping and airline travel. It also offers freedom from power outages and helps omit cord clutter for those looking to use it for everyday home use. The PowerShell with the Extended Life Battery! The PowerShell turns your Z1 or Z2 into a totally self-powered cpap solution perfect for travel, camping, or just battery backup while at home. Just insert the Z1/Z2, put in a Extended Life Battery and you can get a full night’s sleep of cord-free cpap. This is the only fully integrated cpap battery available. The Extended Life Battery has twice the battery capacity of the original Overnight Battery, so even at the highest settings (20 cmH2O, Z-Breathe 3) cpap therapy should last 8.9 hours. * With lower pressure settings you should get even longer therapy. * Results were obtained via bench testing under simulated operating conditions. Actual run time may vary due to machine settings, machine pressure, and personal breathing. Lower pressures will result in longer battery operating times. The Powershell is covered by a 2 year warranty. The Extended Life Battery features double the runtime of the original Z1 battery, offering a full 9 hours of runtime for the Z1 and Z2 at the highest pressure setting of 20 cm H2O. The Z1 and Z2 with the PowerShell can act as a fail over battery back up. Place the Z1 and the fully charged Extended Life Battery in the PowerShell and plug in the AC. If there is an interruption in AC power, the battery back up will take over. The battery does not charge while the Z1 CPAP machine is turned on. 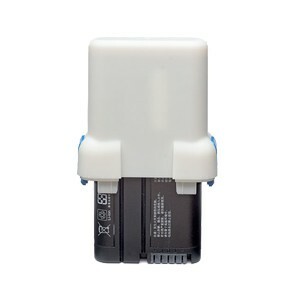 The Z1 and Z2 PowerShell with Battery is compatible ONLY with the Z1 and Z2 CPAP Machines. Is is not intended for use with any other machines. PLEASE NOTE: Remove the battery from the PowerShell when not in use. The battery charge will be depleted if connected to the PowerShell, even when not in use. 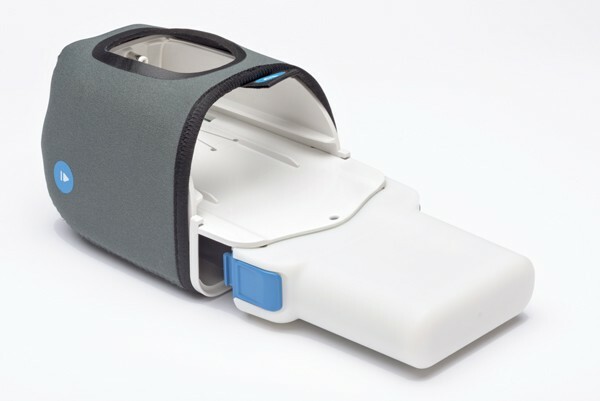 Estimated Runtime: Manufacturer testing shows that the Extended Life Battery will power a Z1 or Z2 CPAP at the highest settings (20 cmH2O, Z-Breathe 3) for 8.9 hours. These results were obtained via bench testing under simulated operating conditions. Lower pressures will result in longer battery operating time. Actual run time may vary due to machine settings, machine pressure, and personal breathing. Shelf life: Batteries are shipped with between 30% and 50% of rated capacity, providing a minimum of 6 months shelf life when stored at 25°C. If storage temperature exceeds 25°C over a 6-month period then shelf life will be reduced and the battery should be recharged periodically.